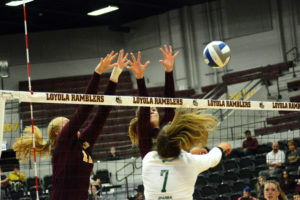 The Loyola women’s volleyball team (8-2) opened the inaugural Chicago Cup with a 3-0 sweep of DePaul University at Gentile Arena Friday night. The victory extends the Ramblers’ win streak to eight games — the program’s longest winning streak since 2015. 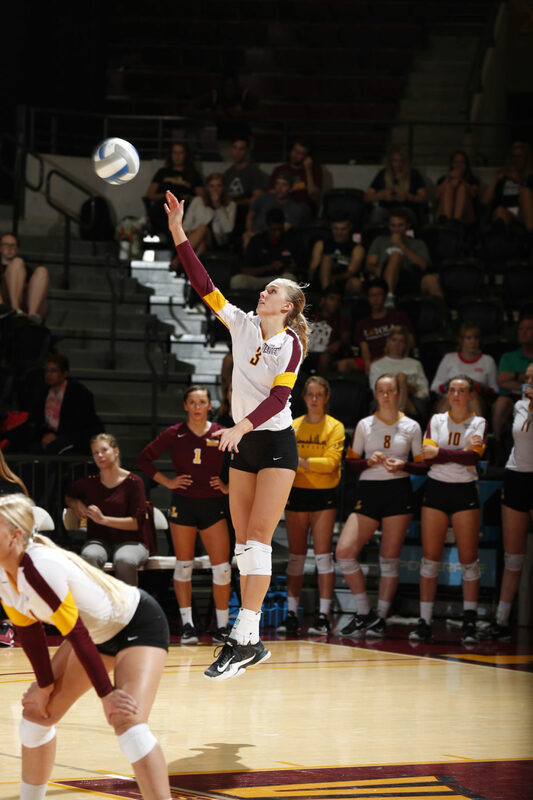 Sophomore middle blocker Elle Van Grinsven led the charge for Loyola with 16 kills — one short of her career high. On the defensive end, first-year defensive specialist Lauren Caprini had a team-high 14 digs. Another key Rambler was junior setter and reigning Missouri Valley Conference Player of the Week Delilah Wolf, who accounted for 46 of Loyola’s 48 assists. The Ramblers have swept all four of their matches at Gentile Arena this season. Berkley said she believes the success is largely due to the environment and energy in the arena. Loyola still has two games left in the Chicago Cup — both of which are scheduled for September 15 in Gentile Arena. Berkley and Van Grinsven said they feel prepared for the quick turnaround between matches. Loyola is slated to take on University of Illinois at Chicago September 15 at noon before taking on Northwestern University at 7 p.m.